Though the paparazzi culture is quite alien to the Tollywood, it is very much common in the circles of Bollywood. Many celebrities are clicked daily at the airports, restaurants and gyms, by the photo journalists. This often irks few celebrities and made them lash out on the paps. One such incident happened the other day when star hero Ajay Devgan fumed on paps and the trolls of social media. If we get into the story, Ajay’s daughter Nysa got clicked recently at the Mumbai Airport. Soon after her pics landed on the internet, the netizens started trolling her for her outfit. This angered Ajay and the actor lashed out immediately. He said that Nysa is just 14 and the media should leave her alone. 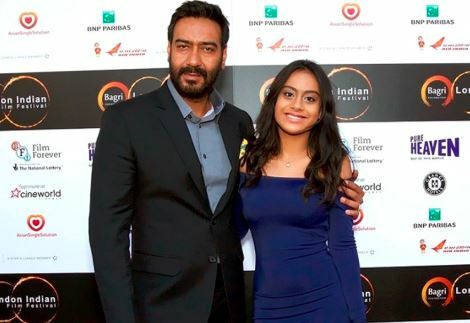 Unwanted attention would affect the star kids and that is the reason why Ajay asked the media to stay away from his daughter. We have to see whether the media respects the request made by him.